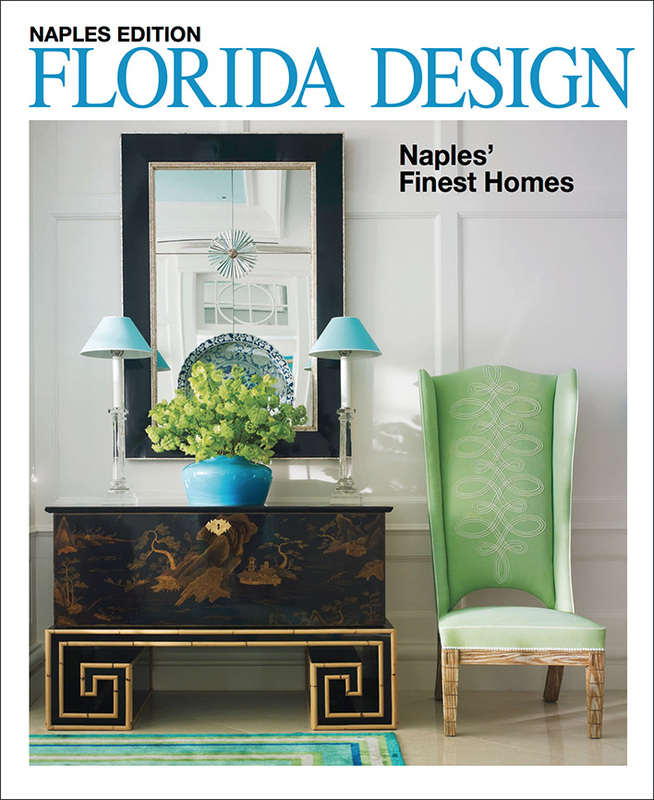 The new Naples residential design magazine by Florida Design features the work of Brantley Photography on the cover! We are thrilled to be on the cover of the 300-page inaugural issue. The cover story is a colorful Captiva Island house designed by Anthony Baratta and the late William Diamond, of Diamond Baratta Design, New York. The 12-page article highlights the cutting edge design of Diamond Baratta and their ability to create the unexpected. We also have photos for an article that features the work of Lisa Ficarra and Molly Grup, of Ficarra Design Associates, Naples. This 9500-square foot house showcases the talent of Lisa and Molly by combining West Indies charm with contemporary sophistication. And a third feature in the magazine highlights our project for designer Summer Thornton, of Summer Thornton Design, Chicago. Summer gave a fresh perspective on a coastal home by combining tradition with beach vibes in this 10-page spread. Pick up a copy today and enjoy the design and architecture of Naples!